Acquire Terry Real's wisdom through this collection of keynotes, panels and workshops. Terry Real, LICSW, is a nationally recognized family therapist, author, and teacher. He is particularly known for his groundbreaking work on men and male psychology as well as his work on gender and couples; he has been in private practice for over twenty-five years. Act now and get any of his digital recordings for 50% off! Discount will be applied during the checkout process, no code needed. Evocation weaves together various rich threads — encounters with art, exercises for reader engagement, case excerpts, insights into Erickson’s cases, and so much more — to reveal the endless potential for evoking fresh resolutions within clients. 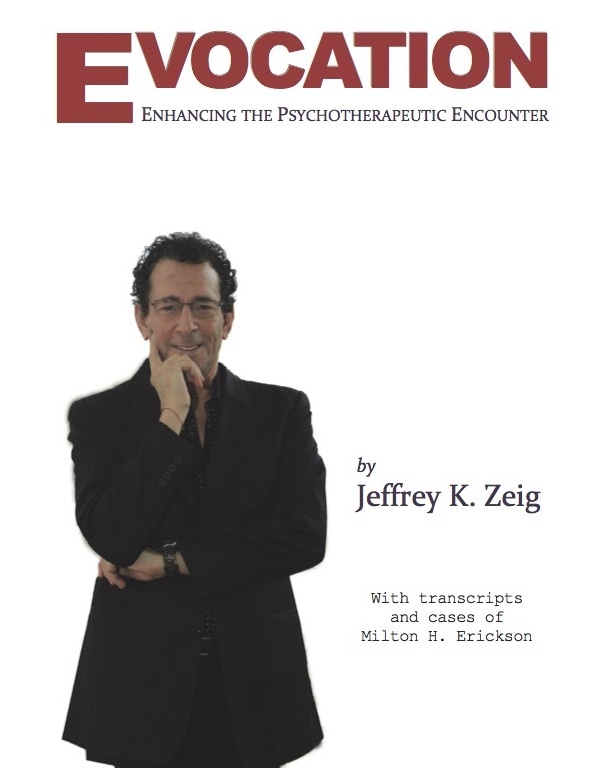 Jeff redefines the therapeutic encounter to include an essential multidimensional vocabulary — spoken, gestural, hypnotic — that can naturally ebb and flow with the client’s capacity for engagement. The final contribution of a quartet of revelatory volumes — Psychoaerobics, The Induction of Hypnosis, and Anatomy of Experiential Impact — Evocation both builds on the previous books and stands alone. Available in paperbound or eBook versions.